Lagavulin was officially founded in 1816 by John Johnston, but the distillery claims to be the oldest of Scotland as (albeit illegal) distilling already took place here since 1742. 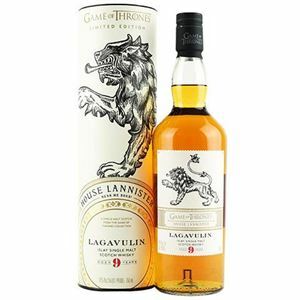 Derived from the Gaelic ‘Laggan Mhouillin’, meaning ‘the shallow valley where the mills stands’, Lagavulin is built in the harbour town of Port Ellen on the south coast of Islay, close to Dunyveg Castle, where the Lord of the Isles ruled in an ancient past. Lagavulin matures its whisky almost exclusively on American oak. The whisky is part of Diageo’s Classic Malts series, launched in 1988. Sometimes referred to as the ‘Islay aristocrat’ because of its robust and balanced body and powerful peaty aroma, it is highly recommended by many connoisseurs, but probably not the ideal whisky for novices. Most of the production is sold as single malt, but it is also a component of the White Horse blend. The distillery is open to the public.